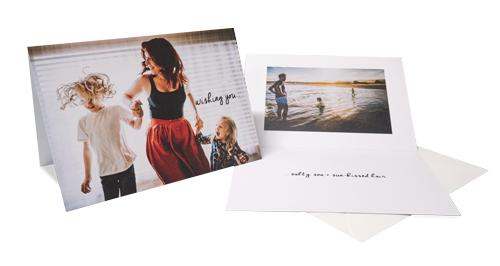 Whether you're sending Christmas wishes, announcing a new baby, planning a celebration or connecting with old friends, make your card more memorable by featuring your own photo and text. They're easy to make, affordable and unique. Choose from 3 sizes and 3 orientations, available in packs of 1 to 200. Small cards make great gift tags, Regular cards are perfect for invitations while Jumbo size has lots of room to write farewell or birthday messages. 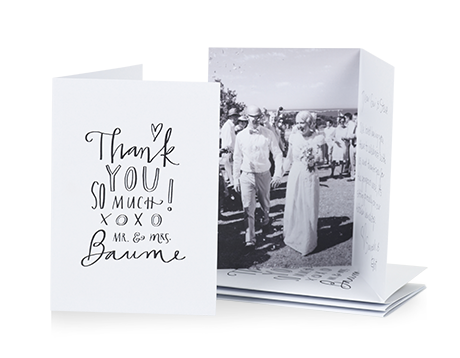 We only use the best materials and there's no exception for our greeting cards. 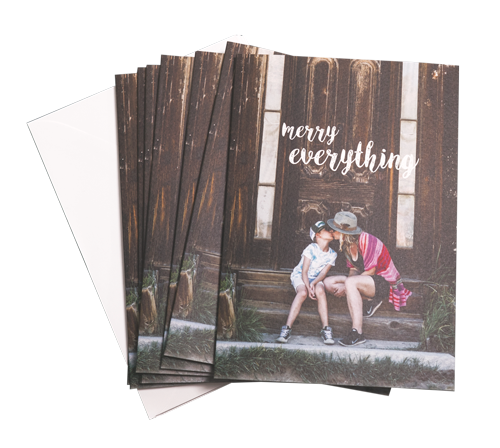 The Matte paper is versatile and suits any image, while the textured Art stock feels amazing and adds a soft touch to wedding, christening and sympathy cards. Our bespoke cards are more unique than any shop-bought card because they're designed by you. 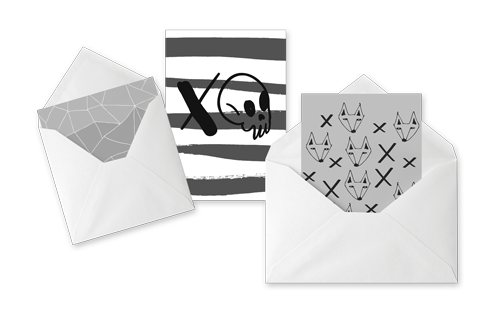 They're also great value, and each card comes with a premium envelope. 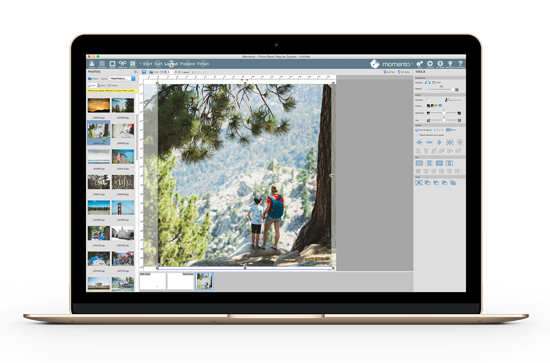 Momento makes it easy to layout personalised greeting cards using readymade Quickcard designs, embellishments or your words and text. Let your creativity flow as you customise the front, inside and back panels just the way you want.